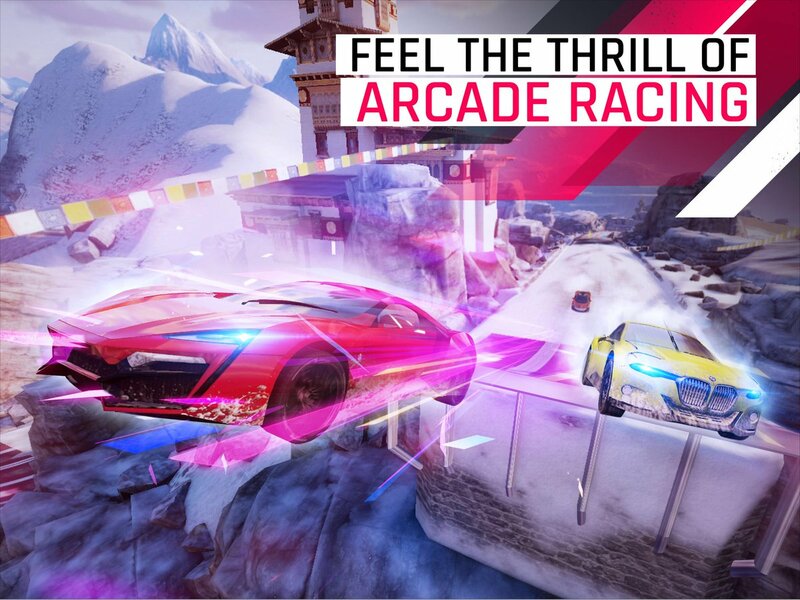 Asphalt by Gameloftthe most famous mobile racing game has taken over the hearts of everyone when it teased its new member of the Asphalt game series the Asphalt 9: Legends. Asphalt 8: Airbornehas already been a great racing game on the mobile for all the gamers with its beautiful graphics, amazing locations, and prestigious cars. This is what Asphalt is completely about and that too all these loaded things for free which make every gamer move towards it to try and experience this new level of racing games. So, Asphalt 9: Legends is an addition to the Asphalt series by Gameloft with all brand-new updates and adventures. The Trailer thrills up the racing encounter and just drives your mind to download it and start playing this fabulous game. Here is your complete guide to the newly launched and released Asphalt 9: Legends by Gameloft. Asphalt 9: Legends completely redefines the mobile racing gaming experience with some real-time graphics showcase. These amazing graphics include some of the characteristics like Advance lightning effects, HDR lighting, and tone mapping, Massive high polycount environment and Advance reflection along with Diffuse lightning. Start your career mode with 60 seasons and 800 races and become an Asphalt Legend by racing with 7 players in realtime with the world series multiplayer mode. Begin your astonishing racing journey by downloading Asphalt 9: Legends today! Most Prestigious CarsEnjoy your all-new adventure with Asphalt 9: Legends with some marvelous and incredible Cars. Car selection starts with the high-end sports machines then advancing to supercars and hypercars. The old Asphalt brands such as Ferrari, Lamborghini, Bugatti, BMW and Mercedes returned with newest innovations and the legendary Porsche has also made a comeback from Asphalt 8: Airborne into the Legends with the Porsche 918. Also, there are some new additions to the Asphalt 9: Legends edition with manufacturers like Exotic Sports, Pininfarina, and VLF bringing their cars inside the game. Its the most desired lineup of any Asphalt game to the date. Breathtaking New Locations Feel the thrill with some amazing races across 70 tracks in the most exciting real-world locations. Race around giant tornados in the American wilderness, avoid landslides in the Himalayas and hit the ramps to perform excellent stunts like the barrel roll and stuff. The all-new graphics with these exciting real-world like locations will take your trip with the Asphalt 9: Legends to the next level. Ultimate Racing ControlAsphalt 9: Legends comes with the new Touch drive Control which provides acceleration and turning in automatic mode which lets players focus on the fun of racing. You can also switch back to the manual mode where you learn racing like an Asphalt Pro Racer! Asphalt 9: Legends takes the level up from the Asphalt 8: Airborne and gives you an immersive racing experience with all new graphics quality and locations. Leave your limits in dust and become a legend of the track and knock down your opponents in style with the all-new Asphalt 9: Legends. It gives a perfect ride for both driving style and dream cars which will give you an eminent adventure and gameplay. Asphalt 9: Legends is available to download free on iOS, Android and Windows worldwide. So, with the Asphalt 9: Legends game whenever you play, be ready to become a Legend!! Learn coding in an exciting way with all new Harry Potter Kano Coding Kit!